Justin Sullivan/Getty ImagesMcDonald’s beat on both the top and bottom lines. McDonald’s beat on both the top and bottom lines. The burger giant’s global same-store sales topped Street estimate and US same-store sales were in line with forcasts. Shares were set to open up 2%. 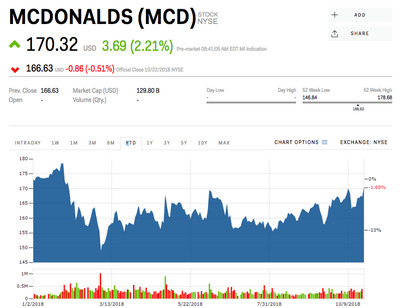 Watch McDonald’s trade in real time here. 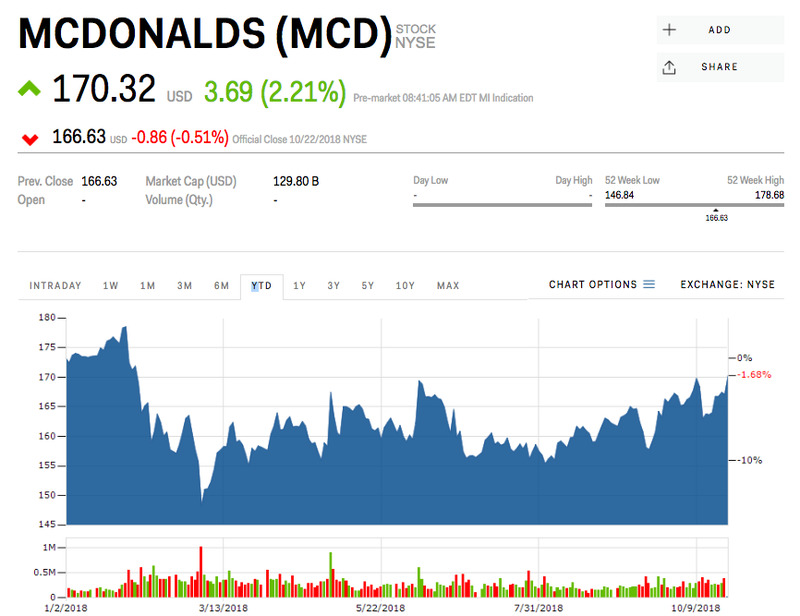 McDonald’s shares are gaining around Tuesday morning, up about 2%, after the burger giant posted third-quarter earnings that beat Wall Street estimates. The fast-food chain on Tuesday posted quarterly earnings of $US2.10 per share, beating the $US1.99 that was expected by analysts, according to Bloomberg data. Revenue fell 6.6% to $US5.37 billion, but that was higher than the $US5.32 billion expected by Wall Street. 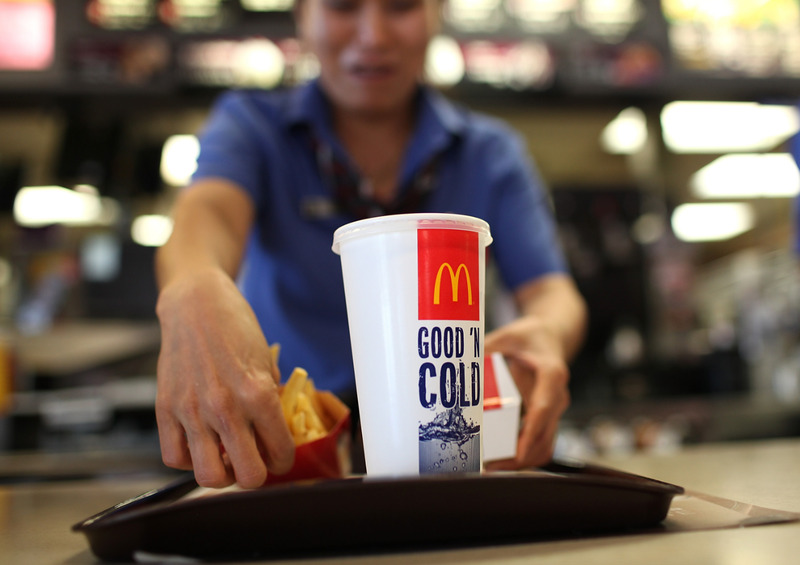 Meanwhile, McDonald said same store sales increased 2.4% in the US, driven by growth in average check resulting from both product mix shifts and menu price increases, matching analysts’ forecasts. Global comparable sales grew 4.2% versus a year ago, beating the 3.6% growth that was anticipated. “We remain confident that our strategy will drive long-term, profitable growth,” CEO Steve Easterbrook said in a press release. The company said it returned $US1.7 billion to shareholders in the third quarter through share repurchases and dividends, and will increase its quarterly dividend by 15% to $US1.16 per share beginning in the fourth quarter. McDonald’s was down 1.68% this year through Monday.